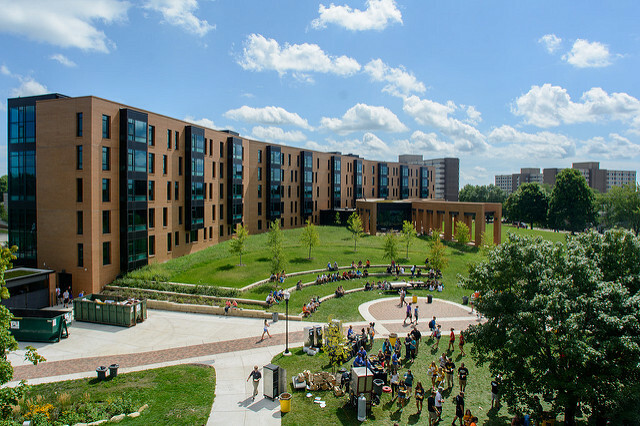 The Midwest Student Exchange Program (MSEP) is an opportunity for students from Illinois, Indiana, Kansas, Michigan, Missouri, Nebraska, North Dakota and Ohio to attend the University of Wisconsin Oshkosh for a reduced tuition rate. UW Oshkosh does not have ANY restrictions for MSEP students: ALL academic programs are available and there is NO LIMIT on the number of students who can receive the special tuition rate. 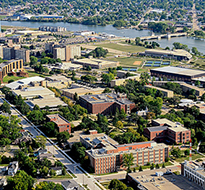 UW Oshkosh offers an incredible opportunity for nonresident students to qualify for Wisconsin in-state tuition rates if they meet specific academic criteria! Click here to learn more. To be considered for all types of financial aid, we recommend filing the FAFSA by UW Oshkosh’s January 1 priority filing date. Regardless of filing date, all students are encouraged to submit the FAFSA. Students filing by January 1 can expect a financial aid package awarded in early 2018. For more information about federal financial aid, visit the FAFSA website at fafsa.ed.gov and use the FAFSA4Caster to estimate your potential federal financial aid. UW Oshkosh offers a number of scholarships for students who achieved outstanding academic and leadership success. For more information about scholarships for incoming first-year students, click here. Continuing UW Oshkosh student awards are available through the UW Oshkosh foundation and the UW Oshkosh financial aid office. Students may schedule an individual visit online. Visits include a 90-minute tour and 30-minute one-on-one appointment with an admissions counselor either before or after the tour. Campus tours are offered at 10 a.m. and 2 p.m. daily, Monday through Friday. If a Saturday visit is more convenient for you, we’re open select Saturdays, September through May, from 9 a.m. to noon. During these visits, a counselor conducts a 30-minute presentation and a question-and-answer period starting at 10 a.m. A 90-minute student-led campus tour starts at 10:30 a.m. You can sign up online here. These special visit opportunities are geared specifically toward nonresidents from MSEP states. Students and families will learn about UW Oshkosh and the MSEP tuition discount, interact with a student panel, enjoy a complimentary lunch and go on a full campus and residence hall tour. View the schedule of visit days and sign up online. Preview Days provide you the opportunity to tour campus, attend special sessions, learn about academic programs and see what life is like on campus. These days typically run from around 9 a.m. to 2 p.m. and give you a good overview to what UW Oshkosh has to offer. For a list of upcoming preview day dates, please click here. There’s no way we could include all the great things about UW Oshkosh on one website. We know you’ll have questions or maybe don’t even know quite what to ask. And that’s OK! You’re not alone. We suggest coming to visit campus if you can. That’s one of the main factors students cite as making the most impact on their decision of where to attend a university. It’s all about fit. Come try us out by visiting campus during one of our specialized MSEP Visit Days. In the meantime, you can contact us at any time with your questions. Or you can check out some of our Admissions social media sites. Best of luck on your college search!